Ziber, Mykola (Зібер, Микола), b 10 March 1844 in Sudak, the Crimea, d 28 April 1888 in Yalta. (Photo: Mykola Ziber.) Prominent Marxist economist. After graduating in law from Kyiv University (1866) he continued his studies in Western Europe (1871–3). On his return to Ukraine he lectured on political economy at Kyiv University, collaborated with the Southwestern Branch of the Imperial Russian Geographic Society (for which he prepared a program for collecting statistical data), and contributed to Kievskii telegraf. In 1875, after the dismissal of his friend Mykhailo Drahomanov from Kyiv University, Ziber resigned and emigrated to Switzerland. From there he contributed articles to Russian (eg, Znanie, Slovo, Otechestvennyia zapiski, Vestnik Evropy, Russkaia mysl’), French, and Swiss journals and to Drahomanov's Hromada (Geneva), and developed close ties with younger Ukrainian intellectual and student circles in Lviv and Vienna. In 1884 he returned to the Crimea, where he died, probably of advanced syphilis of the central nervous system. Ziber was the first popularizer of Karl Marx's ideas in Ukraine and the Russian Empire. Although he agreed with Marx's theory of value and critique of capitalism, in his own works, such as his books on David Ricardo's theory of value and capital (MA diss, 1871), primitive economic culture (1883), and the socioeconomic studies of Ricardo and Marx (1885), he stressed the evolutionary social development conditioned by changes in the relations of production. His writings exerted a great influence on Russian economic theorists well into the early 20th century. 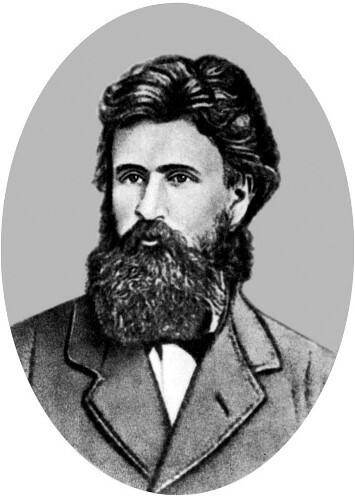 A champion of the idea of economic co-operation, in 1869 he was elected chairman of the board of the first consumer co-operative in Kyiv and wrote a pamphlet on consumer societies. Two-volume editions of his works were published in Moscow in 1900–1 and 1959.